Home - Soundography | A Crash Course in Music, One Band at a Time! A crash course in music. One band at a time. You know the band. You even know a few of their songs. But do you know the whole story? Their history, their inspirations, and even their “Stairway to Heaven”; We cover it all. It's never too late in a shows run to do a pilot episode, and we prove that with this Twenty One Pilots episode! (See what I did there?) hammond and Brian go through the ever-growing catalog, and pick out our favorites and high points. Join us! Support the show and get some cool stuff in return. You can even become our executive producer for an episode and tell us who we should make the subject of a show! Looking for earlier episodes? Everyone from Duran Duran and The Pet Shop Boys to Streetlight Manifesto and Iron Maiden…They can all be found right here! Hammond’s love of music and need to share his love now has an outlet in Soundography. Hammond has been podcasting since late 2013 and in a fairly short time, he has developed his show, Beyond the Playlist with JHammondC, into a decent facsimile of a podcast people can listen to. Brian Ibbott is an established figure in the podcasting community. His first podcast, Coverville, has been in production for the last 12 years. He is also co-host to the Podcast Awards’ multiple award-winning shows, The Morning Stream and FilmSack. 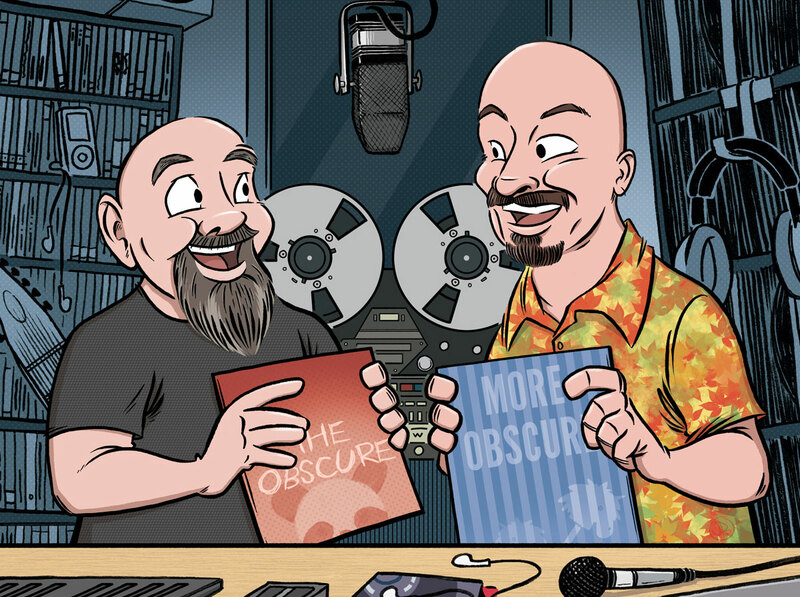 A podcast that’s only existed in the back of his mind for almost 10 years, he’s excited to finally be able to bring Soundography to the masses, and all it took was the right co-host!